Did you think that it was a waste of places in your inventory when you beat the beasts? Did you think that it was very annoying to place an item on the hotbar? Did you want to have a weapon to solve the problems above? Then, you need this mod. 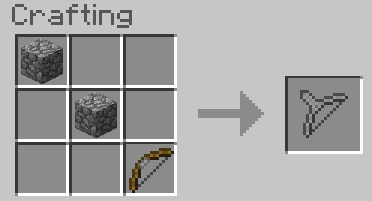 Is it a normal bow? It seems not. What? A drying rack? Absolutely not. Looking to the hotbar, what is it? 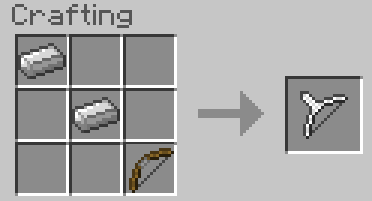 Wooden Sworbow is the cheapest sworbow in this mod. Stone Sworbow is the second cheapest sworbow, but it’s not very good at all because it’s not so strong. Iron Sworbow is a pretty good weapon that it’s price is not so expensive at all, but it’s pretty strong. 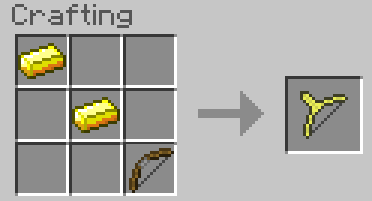 Golden Sworbow is an expensive but weak weapon because this mod doesn’t support enchanting now. 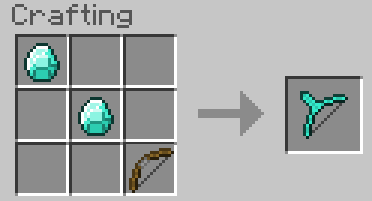 Diamond Sworbow is the strongest sworbow in this mod. Although it’s expensive, it is strong as it has the large damage to the monsters.